This is where you can find all the information regarding how the Norfolkinworldwar1 team are planning to commemorate Armistice Day in 2018. 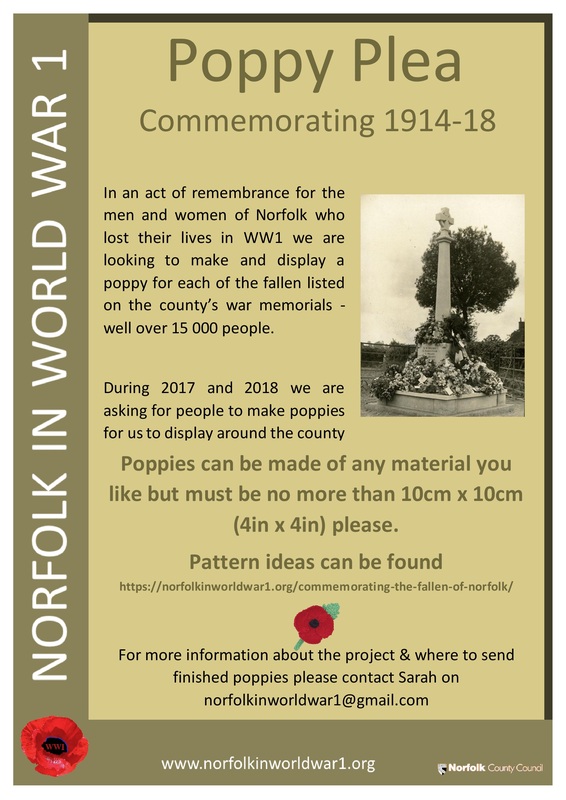 In short we are asking the people of Norfolk to help us create 15,500 poppies – one for each person commemorated on the county’s war memorials – for us to display in the autumn of 2018. On this new page you can find all of the important details such as size, where to send them when they are completed along with some pattern ideas for the poppies. 15,500 poppies is a huge number which is why we are starting early but we know that the people of Norfolk (and further away possibly) will get behind our idea and soon desks at the library will resemble a poppy meadow rather than a work space! Below is a poster about the project – please do share this far and wide – if you’d like it in another format then please just leave a comment here and we’ll get back to you. 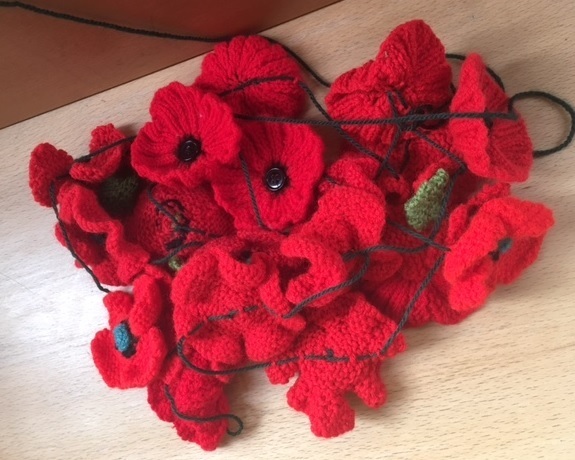 This entry was posted in Arts projects, Information needed and tagged 1918-2018 commemoration, Armistice Day, craft project, crochet, knitting, poppies, WeWillRememberThem. Bookmark the permalink.